Published in March 2013 this book is part of the new middle school curriculum. 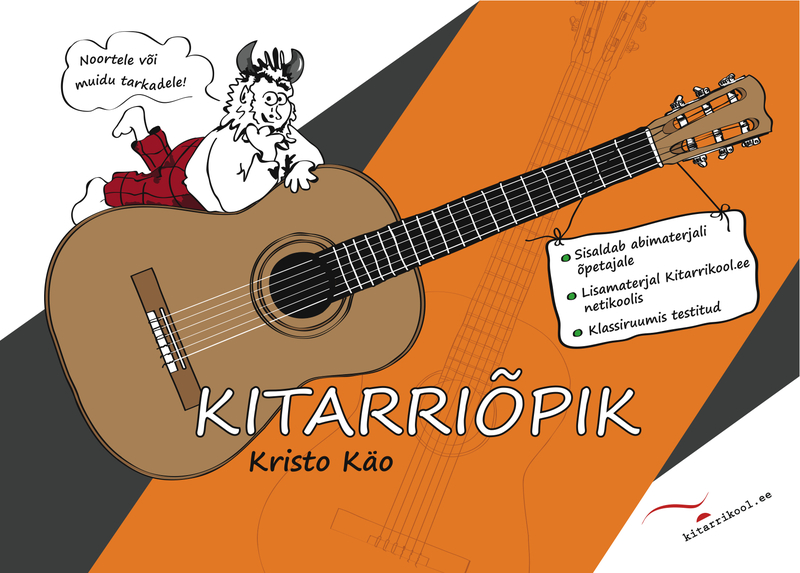 Yes, Estonia has become the only country in the world where studying guitar is a must for everyone. So I have been schooling the music teachers and writing methods. I think this might be my best book so far. If anyone is interested in translating a book for beginning teenagers then this one is tested by hundreds of teachers already and really works! It is designed for group tuition. It works together with my online guitar school. Also, our new interactive guitar chord game is a great addition to the program.